Zarabino is a small town in the far south east of Russia and the port of exit for journeys to South Korea. From here I would take the overnight crossing to Sok Cho. I had my ‘Passenger Ticket’ purchased in Vladivostok for $200 but the ticket for the bike would need to be purchased at, on or after the ferry, … though nobody knew quite how, when, where or for how much. With no opportunity to camp, the overnight hotel in Zarabino was cheap, $10 per night with hot running water. Admittedly, the ‘hot running water’ was not in or even close to my hotel room, but for just one night it felt great to be sleeping in a real bed. The ferry would sail at 18:00 hours on Saturday 26th July, customs clearance was at 14:00 hours and boarding would commence at 17:00, …. it all appeared to be very simple and straight forward. In England you will see many older buildings that have windows in-filled with brick. This was done back in the days when a ‘window tax’ existed, …… the greater the number of windows a building had, the higher the tax that was payable by it’s owner. Here in Russia they also have a ‘Window Tax’ and it exists at all border crossings. Basically, at every ‘window’ that you’re asked to visit with your documentation, a tax is payable, often ‘Official’, sometimes ‘Local’. At the first window on arrival I paid 200Rr to take the Triumph and myself onto the dock where I found another open window. Through that window I passed the princely sum of 2,600 Rr, … I believe for ‘Customs Tax’, plus an additional fine of 136Rr, I believe for failing to pay the previous tax in US Dollars. I was then directed to a third window where 460Rr was withdrawn from my diminishing wallet for ‘Exit tax’. Thankfully, this time no fine was levied for paying the exit tax in the currency of the worlds’ largest country. Moving onto the fourth open window I waited for my boarding card, …… but as always in Russia, there was a minor problem. Three hours later I learn that my ‘Visa’ has apparently expired and that Alan has exactly the same problem. It’s now July 26th, I know for certain that our Visas are valid until 28th August, I’m a little confused. The validity dates for the Visa are stamped in my passport. They are the only entries on any of my paperwork that are written in both Russian and English, ….. these dates are therefore the only ‘facts’ of which I’m certain. Finally an English speaker is found and the problem is clearly explained to me. My ‘Business Visa’ clearly states that I will enter Russia on June 1st 2008 at the Western port of Sochi. 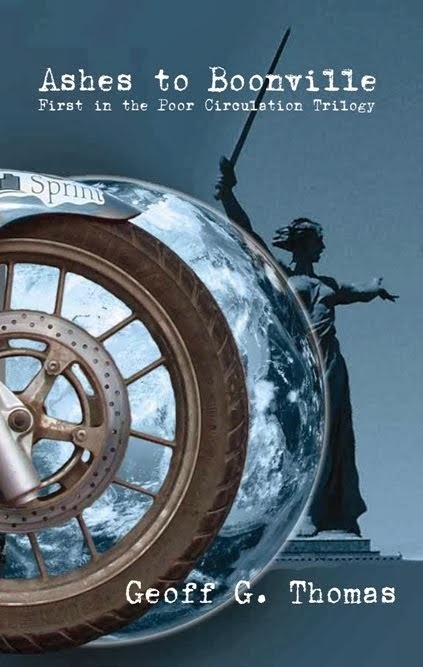 That I will ride my motorcycle 15,000Km across Russia and exit on or before 28th August 2008 from the Far Eastern port of Zarabino. 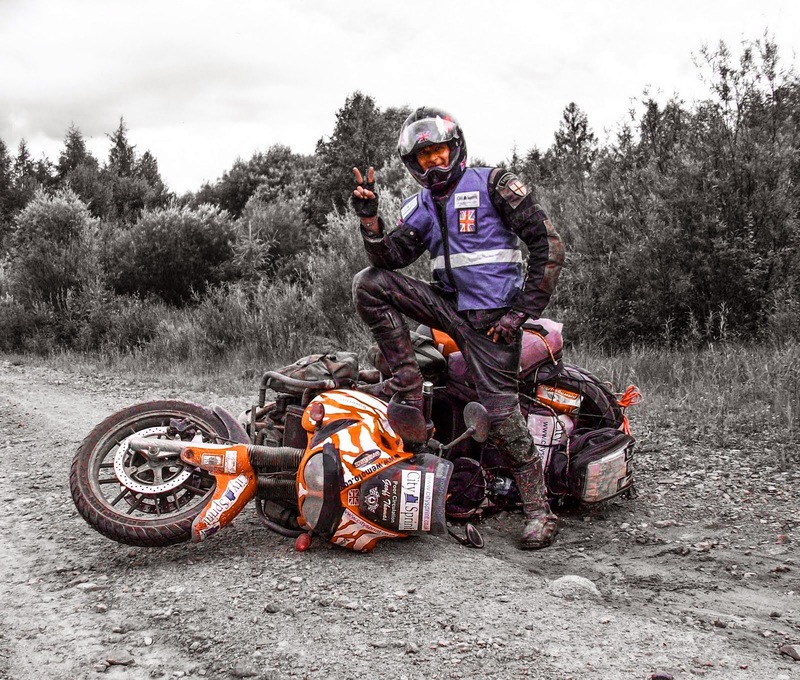 The ‘problem’ is that the customs officer in Sochi who completed the documentation for both me and the motorcycle, allowed me to enter Russia for 90 days but the motorcycle for only 10 days. All of this information is clearly written on the ‘Customs Declaration Form’ that I have kept dry and in pristine condition on my journey across this vast land. It is I know an important document, … ‘Person’ and ‘Motorcycle’ can not be separated during the period, … both must enter and leave Russia together, this form is confirmation of these facts. Unfortunately this ‘Customs Declaration Form’ is written entirely in Cyrillic, … ‘niyet Anglian’. 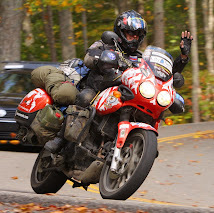 The ‘Visa’ for my motorcycle had expired on the 11th of June 2008, ……. therefore, It is now impossible for me to leave Russia.